Are you looking for a professional designed Payment Receipt for Small and medium-sized enterprises? Download this Payment Receipt template now! In order to rapidly manifest your needs, you need to get clear on paper exactly what it is that you want. Our Payment Receipt template will help you structure your thoughts on every detail in a professional way! These Payment Receipt templates are helping you to reach the next level of success in your work, education, and business. 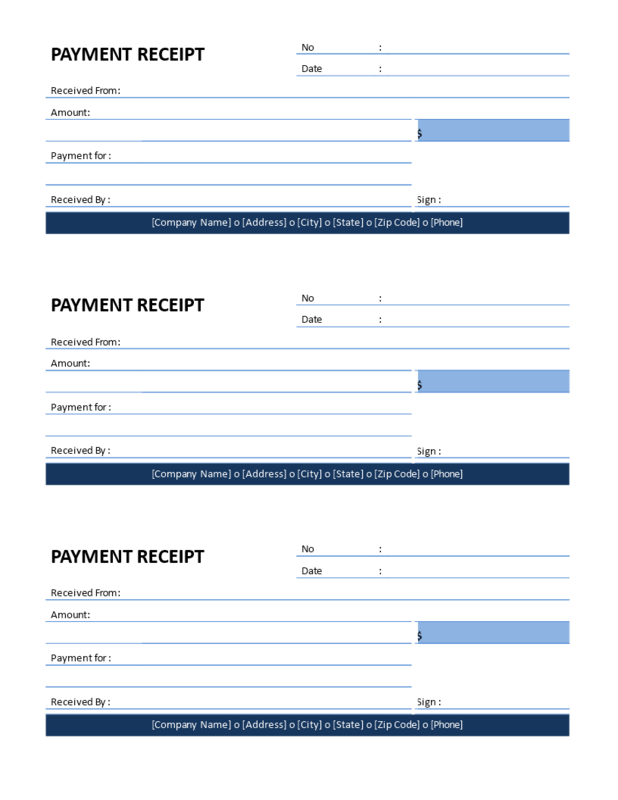 Download this free printable Company Payment Receipt template for SMEs to give to your customers to confirm receipt of payment. Fast, safe and easy! Are you looking for effective strategic, tactical and operational accounting templates to improve your SME 's efficiency and effectiveness? These easy to amend accounting templates will help you out!